If it hops, creeps, slithers or howls, it might be a patient of Dr. 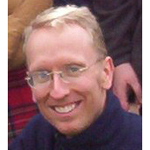 Rob Adamski. At the New England Wildlife Center, rehabilitating exotic pets and wild creatures is all in a day’s work. And Dr. Rob has treated everything from a poison-dart frog to a bald eagle and every type of exotic animal in between. Join us as Dr. Rob reveals the world of creatures creeping around Squantum. Wondering how to greet your new neighbor, the coyote? Dr. 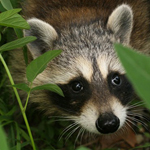 Rob will give advice for wildlife encounters, and will share the wildlife rehabilitation and educational work of the Center, located in Weymouth. All are invited! Bring friends. Enjoy refreshments and conversation with your neighbors. Robert Adamski is the wildlife veterinarian and internship coordinator at New England Wildlife Center where he provides medical services for both wildlife and exotic pets, including surgical procedures, husbandry advice, as well as nutrition and behavioral information. 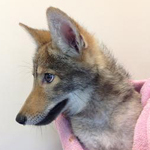 The New England Wildlife Center in Weymouth is a hands-on science education organization that uses the activities of veterinary medical care and rehabilitation of wildlife as vehicles of learning for K-12 and undergraduate students. This entry was posted in News by Monica. Bookmark the permalink.